Over a hundred years ago, in the small town of Brockville, Ontario, Canada, Lawrence A. Meade (1891-1971) made his appearance in the parsonage home of Samuel and Rhoda Meade. 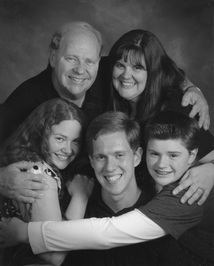 This sixth child would someday be their fifth son to feel the tug of God on his heart to full-time Christian ministry. Soon enough, L.A. strapped on his ice skates and skated down to Toronto where he would graduate from McMaster University Divinity College and begin his lifetime of ministry. This youngest Meade son, Lawrence Adelbert, eventually preached before crowds filling a 3,000 person capacity tent. Beginning in 1914, he taught God's word faithfully for over 50 years with his devoted wife and helpmeet Lillian by his side. First he gained a solid reputation as a Scripturally sound traveling evangelist, and then as a pastor and founder of local churches. 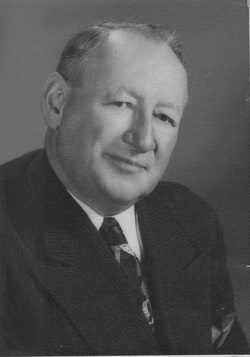 During his years of ministry, L.A. was commended by pastors across denominational lines as having the highest scriptural and personal integrity, as well as teaching that was compelling, inspired, sincere, and produced enduring spiritual growth. For over fifty years, the Reverend Lawrence A. Meade preached God's word faithfully, first as a traveling evangelist and then as a pastor of local churches. 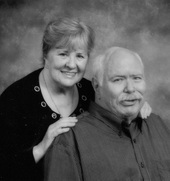 With his Lillian by his side, leading the children's work and the youth meetings, he sought to see souls saved, lives mended, and Christians fulfilling their place in God's plan.During Lawrence's years of travel, he was commended by pastors across denominational lines as having the highest Scriptural and personal integrity. The Reverend Meade is still remembered for his booming baritone and his powerful teaching. The impending wars, financial crises, and uncertain future faced during the years of his ministry find an echo in our own time. The assurance of Scripture the Reverend Meade brought to his congregation will encourage and bless those who today face such trials. These Biblical truths are as much for today and they were for yesterday, and will be as much relevant tomorrow as they are today. Patricia Ediger and Cara Shelton are blessed to call the Rev. Meade our Papa. Patricia is a retired RN, Women's Ministries leader, and a writer for the Global Prayer Digest. Patricia makes her home with her husband in Central California. Cara is an English teacher, a home educating mom, and she is the Facilities Director for her church. She resides in Southern California with her family.